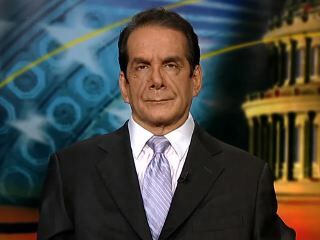 CHARLES KRAUTHAMMER: I wrote a month ago that his objective in demanding a hike in tax rates was entirely political because the Speaker offered him the same amount of money by eliminating loopholes. So, if he wanted the money, that's all he wanted was to raise revenues, it was handed to him. But he said no, you have to raise rates. Why? Because he knew that would accentuate the fractures, the fissures in the Republican party, it would neutralize the one oppositionist institution, the House of Representatives. That’s exactly what happened, he succeeded in that. The House has been neutered, you saw what happened last night. And if he gets the House out of the way, he can then be dominant in Washington for his entire second term.